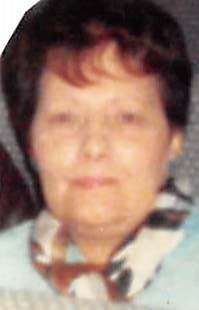 Rose M. Miller, age 81 of Piqua, passed away Tuesday, March 27, 2018 at Heartland of Piqua. Rose was born in Lawrenceville, OH on November 20, 1936 to the (late) Louis S. & Mary Catherine (Beach) Honel; a homemaker; and a member of St. Boniface Catholic Church, Piqua. Preceded in death by her parents; sister, Mary Robinson; and three brothers, Francis Honel, John Honel, & Edward Honel. Rose is survived by her husband of 63 years, Andrew J. Miller; son and daughter-in-law, John & Gale Miller of Piqua; granddaughter, Ashley Miller; step-grandson, Chris & Mindy Ward and their children; sister, Patricia Honel of Troy; brother-in-law and sister-in-law, Gerald & Lillie Miller of Piqua; nieces, nephews, other relatives and friends. Prayer Service 2:00 PM Wednesday at Bridges-Stocker-Fraley Funeral Home, Covington with Father Tom Bolte officiating. Interment Miami Memorial Park Cemetery, Covington. Visitation from 1:00 PM Wednesday until time of service. Condolences may be left for the family at www.stockerfraley.com.